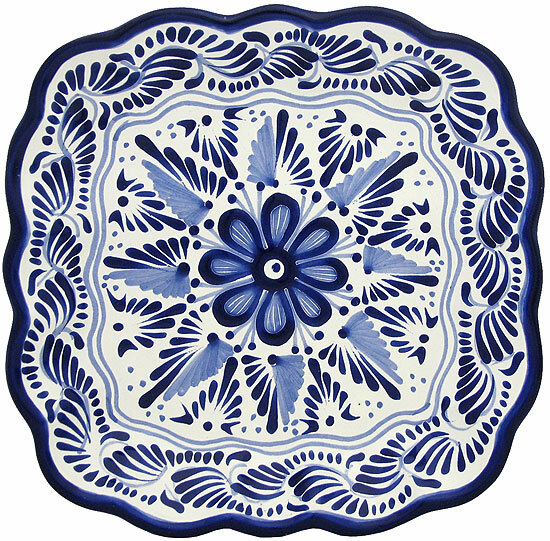 Puebla was the most prominent of the Mexican centers of pottery production to employ the technique of tin-enameled earthenware, known in Europe as maiolica, or faience. This technique produced a hard opaque white glaze, which served as a background for colorful, enamel-painted designs. 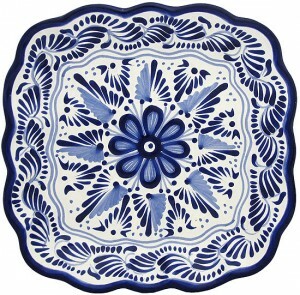 The name Talavera, as applied to this ware, alludes to the city of Talavera de la Reina, the major producer of colorful maiolica in Spain from the sixteenth to the mid-eighteenth century. One tradition holds that the technique was introduced to Puebla by immigrants from the Spanish pottery center before 1653, the year in which the Pueblan potters’ guild was founded. However, the majority of surviving eighteenth-century maiolica from Puebla, with its blue-and-white palette, reflects the position of this city on the Spanish trade route from the Far East via the Philippines and across Mexico. A vast quantity of Chinese export porcelain carried by galleons from Manila remained in New Spain and served as models for the potters in Puebla (who were undoubtedly also conscious of the vogue for blue-and-white pottery in seventeenth- and eighteenth-century Europe). The collection is important, in my opinion, not only as representing an artistic ceramic development, but, more particularly, as representing such a development in America. It seems to me to form a part of a collection representing the arts of Mexico which I hope will some time be fully represented in the Museum, as an American Museum.